Rent a luxury car in Nice and enjoy the French Riviera in style and comfort. The Cote d'Azur is synonymous with luxury and experiencing it with a luxury car rental makes your trip that extra bit special. A luxury car rental in Nice with Luxury & Services Rent offers you the chance to explore the area in an exclusive marque from any pick-up or delivery point you choose. Book your luxury car rental now. 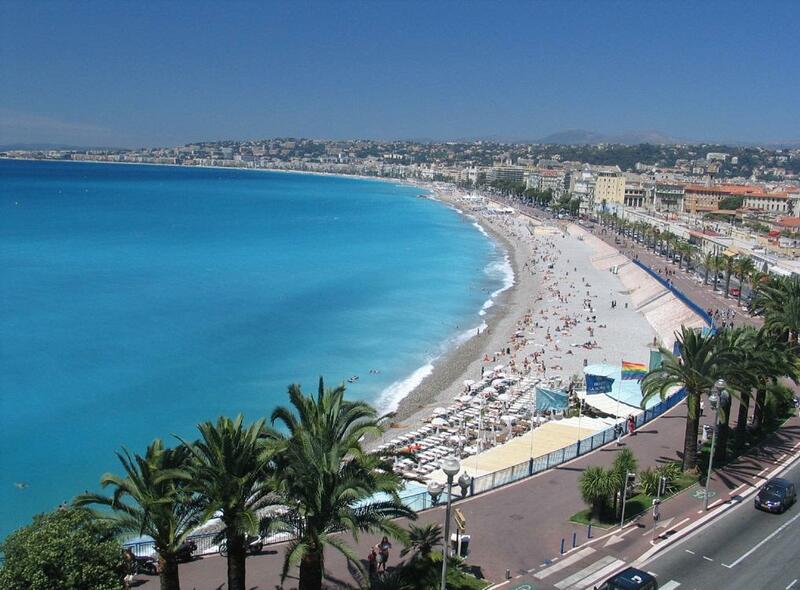 A luxury car rental in Nice allows you to see the amazing sights of France’s fifth largest city with total freedom. You choose where you go and how long you spend there with no extra waiting around. Pick up your car at Nice Airport and begin your unforgettable journey. Drive to the Nice Observatory on top of Mont Gros or head to the Musée Matisse. Alternatively, explore the luxurious villas of Nice where celebrities such as Sir Elton John have homes, or take the family to sandy beaches in the surrounding area in a top-of-the-range SUV. We rent the ultra-exclusive Bentley Bentayga, the most expensive 4x4 in the world, for 2,150€ per day. Outside of Nice itself, take your car to some of the jewels of the region; St Jean Cap Ferrat, Villefranche sur Mer, Cannes and Monaco are just a short drive away. The coastal road between Nice and Monaco offers some of the most stunning panoramic views over the Mediterranean Sea. ‘Les Trois Corniche’ or ‘The Three Cliff Roads’ have featured in numerous movies such as Hitchcock’s To Catch a Thief where Grace Kelly made driving the Riviera glamorous, Perhaps you’d prefer to channel James Bond and drive an Aston Martin DB (from 2,300 € per day) like Pierce Brosnan did on the Corniche roads in GoldenEye. The area is home to some of the most delightful restaurants and beaches in the region. Take the favourites among the yachting crowd, Beaulieu sur Mer and Cap d'Ail for example, both offer breath-taking landscapes, hidden beaches and luxurious beach bars worthy of any holiday. With Luxury & Services Rent you can have your luxury car hire delivered straight to the door of your accommodation, or have it delivered to meet you at the airport as you leave your plane. We can also deliver self-drive car rentals to a number of European cities outside of France. We offer friendly and discreet chauffeurs to drive a range of luxury sedans from Mercedes and Rolls-Royce. Our drivers have an intimate knowledge of the Riviera road network and can advise you on the best routes and things to see. No need to worry about maps or parking, our chauffeurs take care of everything making a Nice luxury car hire with driver the most-stress-free option. If you would like to rent a luxury car in Nice, please request information now to reserve one of our prestige cars. We offer friendly and discreet chauffeurs to drive a range of luxury sedans from Mercedes and Rolls-Royce. Our drivers have an intimate knowledge of the Riviera road network and can advise you on the best routes and things to see. No need to worry about maps or parking, our chauffeurs take care of everything making a Nice luxury car hire with driver the most-stress-free option. If you would like to rent a luxury car in Nice, please request information now to reserve one of our prestige cars. If you would like to rent a luxury car in Nice, please request information now to reserve one of our prestige cars.